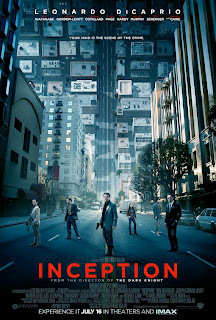 Last weekend i dengan my siblings bersemangat p cinema tengok wayang(At the same time i felt guilty leaving prince at home)>The movie called INCEPTION.Leonardo is the main character. weather its in reality or he was still dreaming? Oh one more thing,there was a lady that caught my eye attention.Bukan i nak mengumpat ok..but i feel sad.Sad because she bring along her baby inside the cinema.I dun mind if the baby cried but my concern is the extremely loud noise came from the movie that might hurt the baby's ears.I dun really enjoy the movie because i kept thinking about Azryl. hmm entahla..maybe i am bit Conservative bila sampai bab macam nih..maafkan makcik no?? Exactly, u have same thought with me. I bukan marah sebab nanges ke apa, but more worry about bunyi bising. After all they are so fragile kan. Kalau pegi mall pun kalau ada event ke I'll bring Zahra jauh2 frm the noise. Kesian budak tu.